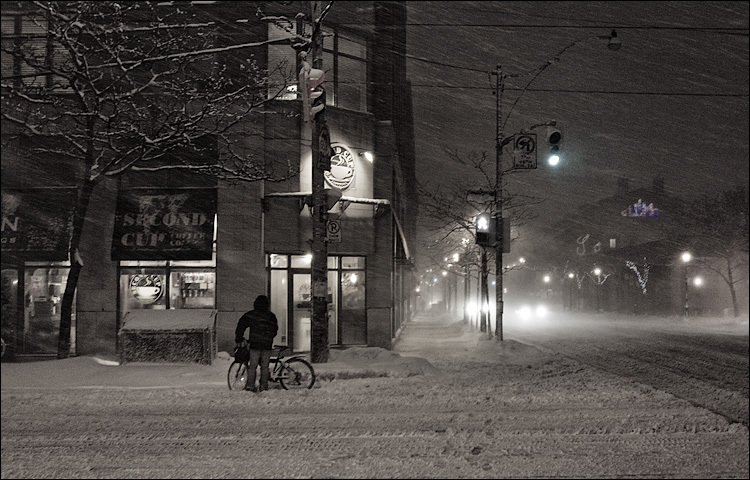 Another snowy night on king street at Jarvis. We had a pretty heavy blizzard that night and I practically couldn't see a thing through the viewfinder, hence the not-so-sharp photo. I'm pretty impressed by people biking in this weather, or any snow for that matter.